Propolis, a resinous mixture collected by honey bees, contains many biologically active compounds like phenolic acids, flavonoids and terpenes. Consumption of raw propolis is limited due to its resinous nature. Propolis should be extracted to convert it into consumable form. Although ethanol is reported to be the best solvent for propolis extraction nevertheless ethanol is another limiting factor for propolis consumption. There is an increasing need for new, compatible and healthier solvents for propolis extraction. Volatile oils obtained from different origins contain different compounds and they could be considered as natural green solvent. To the best of our knowledge, this is the first paper describing the extraction of propolis by using volatile oils. Commercially obtained lemon peel oil, peppermint oil and thyme oil extracted with hydro distillation technique were used in this study. For propolis extraction 1:10 (g/v) ratio was used. Chemical composition of volatile oils and volatile oil propolis extracts was separately analyzed by using GC-MS technique. Total polyphenol content and antioxidant capacity of oils and propolis extracts were also determined. It was found that volatile oil propolis extracts were rich in volatile compounds of propolis, phenolic acid derivatives and free fatty acids. It can be concluded that volatile oils could be used for propolis extraction separately or in combination. They could also be used for preparing health promoting products containing propolis. ISNAD KESKIN, Saban , KESKIN, Merve , KOLAYLI, Sevgi . "A New Approach to Propolis Extraction". 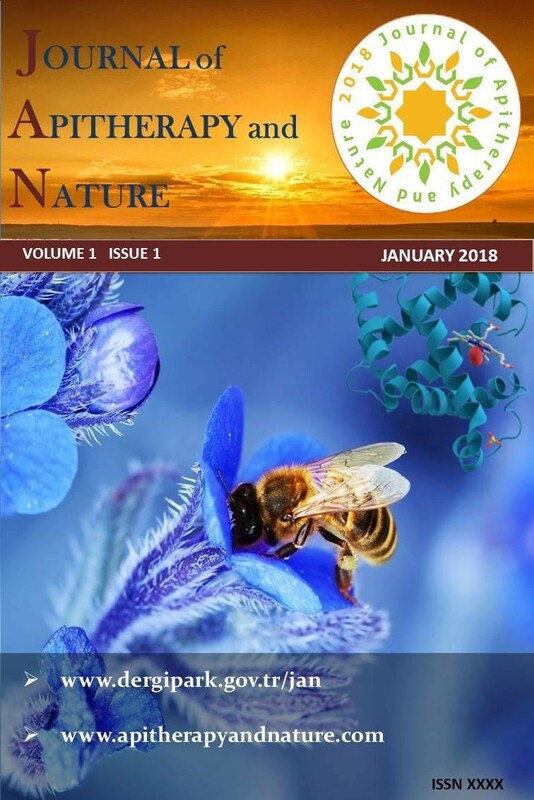 Journal of Apitherapy and Nature 1 / 3 (December 2018): 26-26.